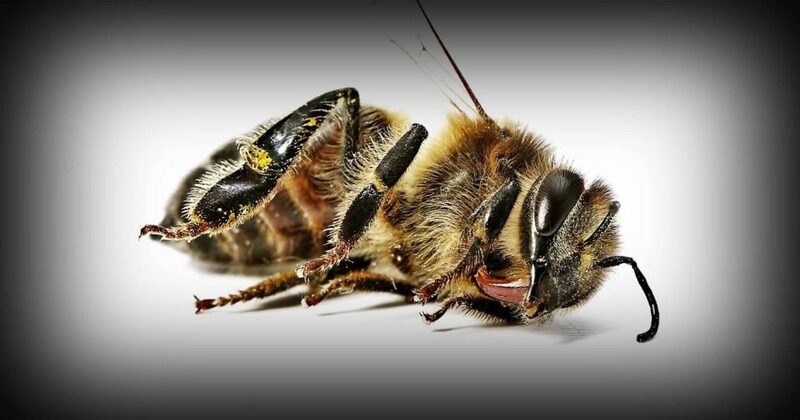 Human actions are pushing many species of bees towards extinction. Closely related to wasps, bees are integral for reproduction of plants. Bees carry out an important task called ‘Pollination’. It is the process by which pollen is transferred from the male part of the plant to the female part. When a bee lands on a flower, bits of pollen stick to it which are then transferred to different flowers as the bee moves from one to another. The pollen is dropped off on new flowers as the bee rubs it off. According to an estimate, the bee population has seen a whopping 87% decline across many species since 1990. According to popular belief, the most common cause behind the declination of bee population is the widespread use of pesticides. Pollen is not only essential for plant growth but it also used as feed for bees. Research shows that the use of pesticides has brought significant changes to the way they ‘forage’. Pesticides act as a deterrent for bees because the chemicals are harmful to them. It makes them less attentive towards the larvae and causes them to be less social. A lot of experts consider Climate Change a strong reason for the declining bee population. However, we can’t deny the harmful effects of excessive use of pesticides. Similarly, destruction of natural habitat is another massive reason for this dreadful trend. While a lot of planning has been done to control the emission of greenhouse gas, the implementation is rather poor and ineffective. Consequently, it is predicted that a dangerous ecosystem imbalance will occur if all the bees of the world are wiped out. The severity of the situation can be judged by the fact that for the first time in the history of the US, bees will be protected under the Endangered Species Act. Authorities hope to raise awareness this way as these pollinators are responsible for 90% of the crops worldwide. A world without honeybees would turn into an unpleasant place with little to no flowers.